This very rarely happens for me but yesterday I had a really bad day. Terrible actually. I had a confrontation with someone who questioned my integrity. I cannot even remember when someone hurt me that much. The thing is that I allowed that to happen. Nobody can hurt us without our consent. It was a great reminder for me what many of the people who read my daily messages are exposed to on a daily basis, and this has to change. People who poison our work environments should be out in an instant – no matter how smart and talented they are. Over the years I have learned to shift myself from a bad emotional state into a good one in a relatively short period of time. Yesterday this was VERY difficult for me but I would like to share the one mental strategy that helped me to eventually feel better again. This is so true and it hit me in an instant. This person has only power over me when I allow it to be consumed by my emotions. Just like that, I let it go. I am happy to report that I have my good attitude and my smile back. 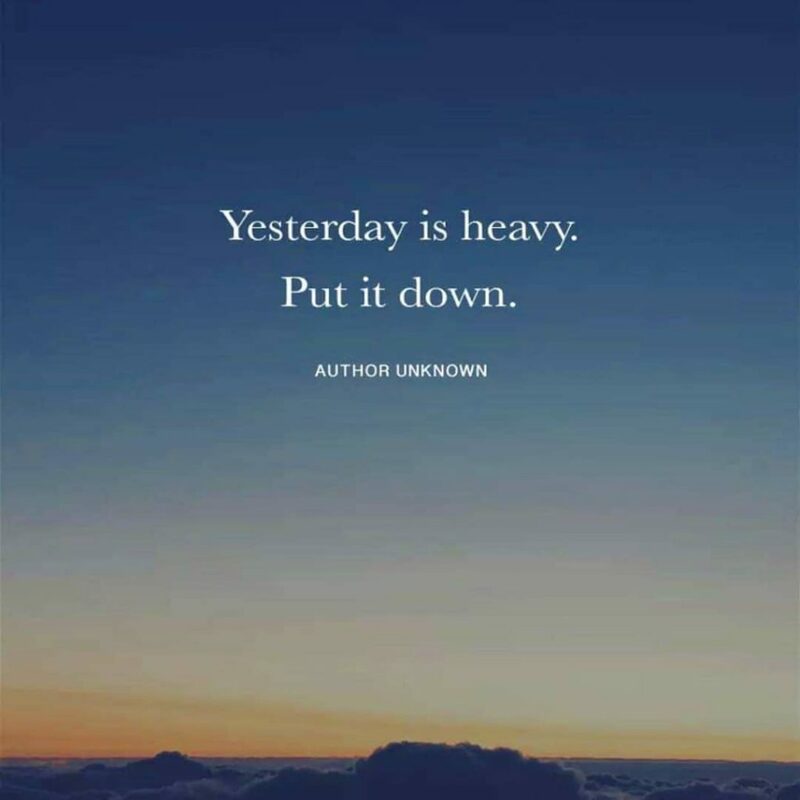 It is important to let go of all the things that are heavy and drag us down. Otherwise our internal garbage will consume our life. You are worth it to be in the best possible emotional state! Enjoy your weekend and I’d love to hear your thoughts on this topic as well.